Select the above image to access the abstract submission site. Thank you for your willingness to submit an abstract for presentation at TERACHEM 2018. We are pleased to announce that accepted abstracts will be published as conference proceedings in Nuclear Medicine and Biology, the Official Journal of the Society of Radiopharmaceutical Sciences. Abstract submission is possible from January 22 until April 16, 2018. This year, the online abstract management system of CERN called INDICO will be used for abstract submission and reviewing. Click here to access the system. A registration for INDICO is required for all submitting authors. If you are already registered, use your existing login details. The abstract maximum is 250 words (excluding the title, references and acknowledgments ). No figures and schemes or tables will be published/printed. However, they can be uploaded for reviewing purposes. Important: Nomenclature guidelines developed by an internationally working group on Consensus Nomenclature in Radiopharmaceutical Chemistry and Related Areas must be followed for each TERACHEM 2018 contribution. 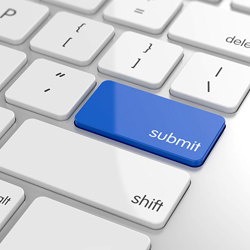 Additional guidelines will be available when you access the submission system.